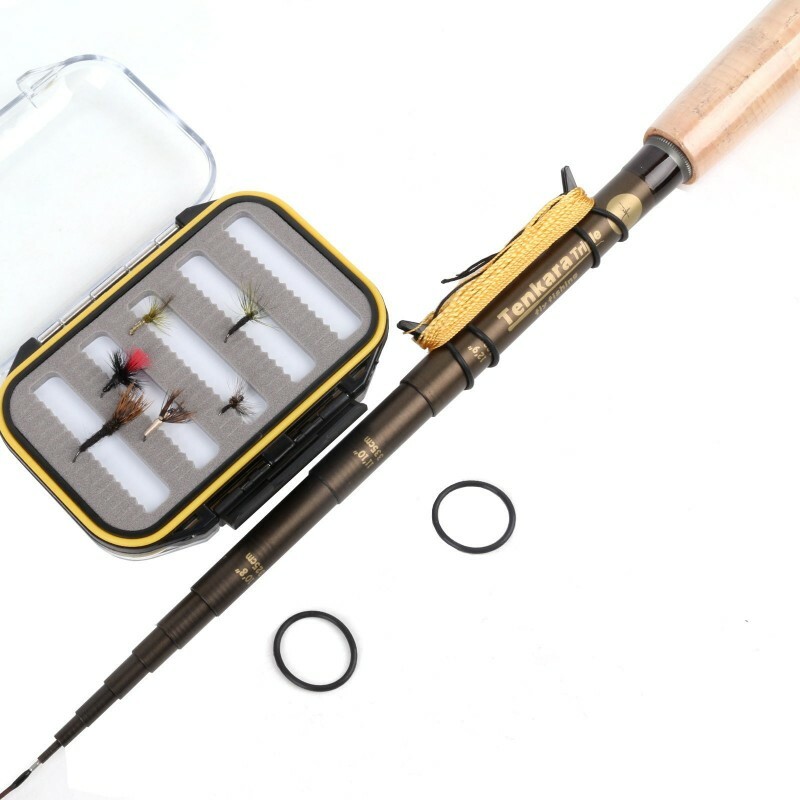 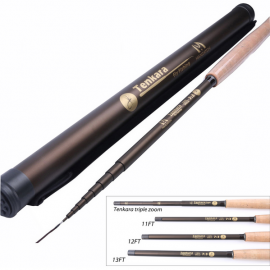 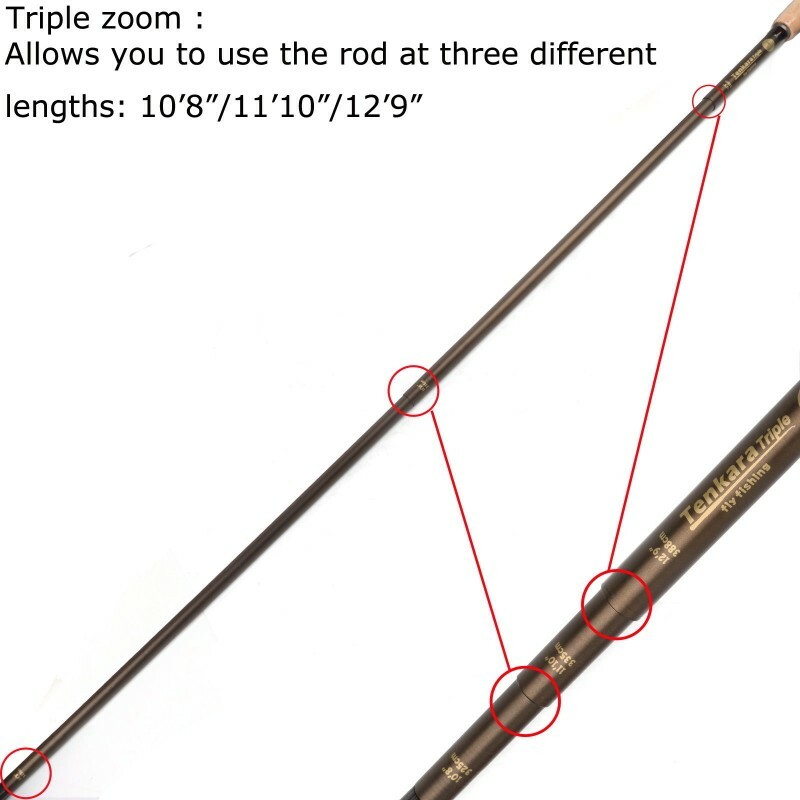 Triple zoom : this allows you to use the rod at three different lengths - 10’8”/11’10”/12’9”=325/335/388cm. 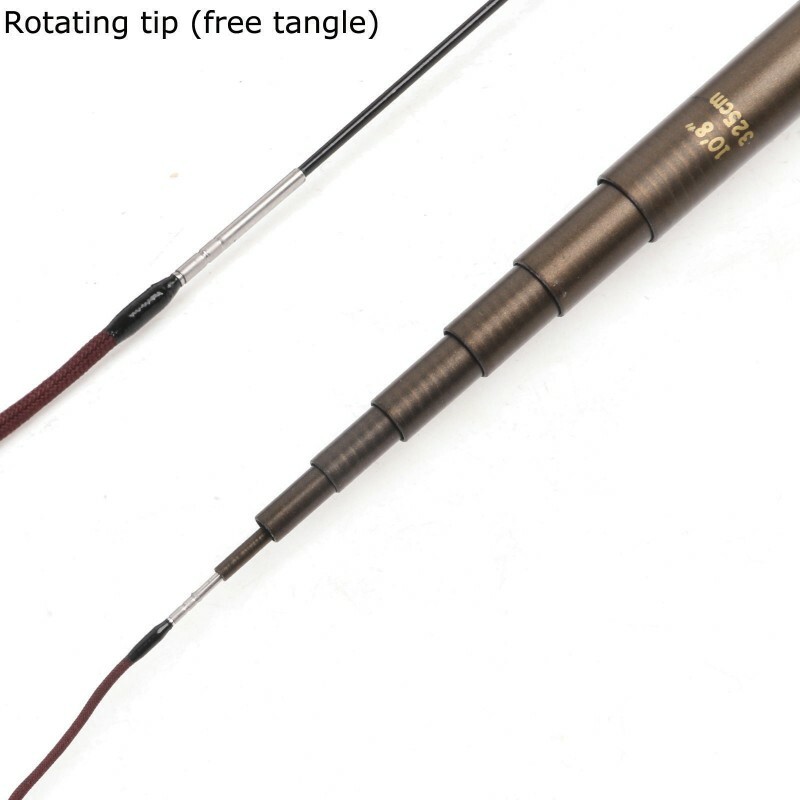 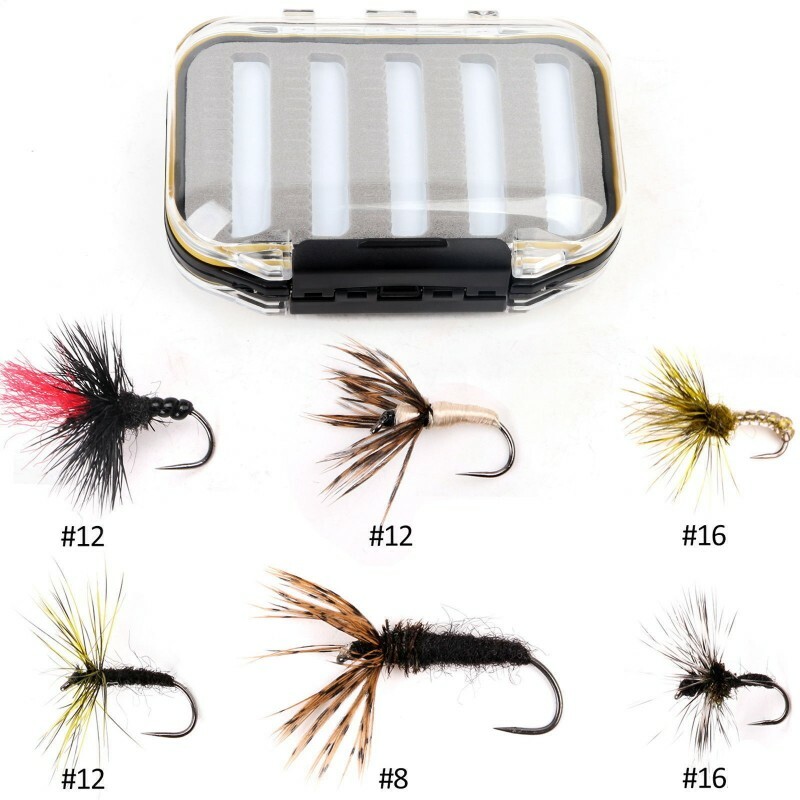 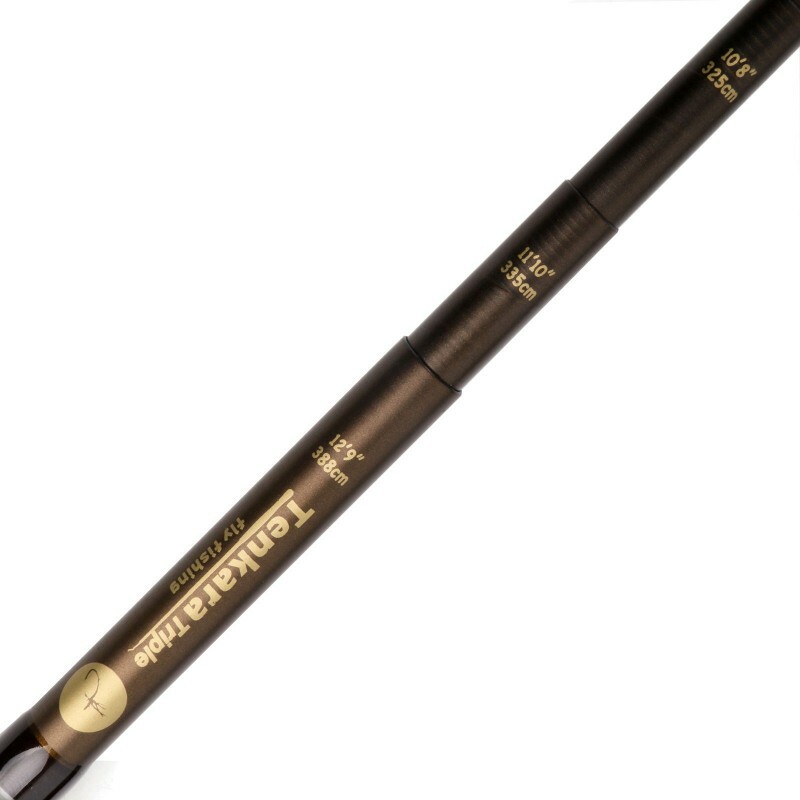 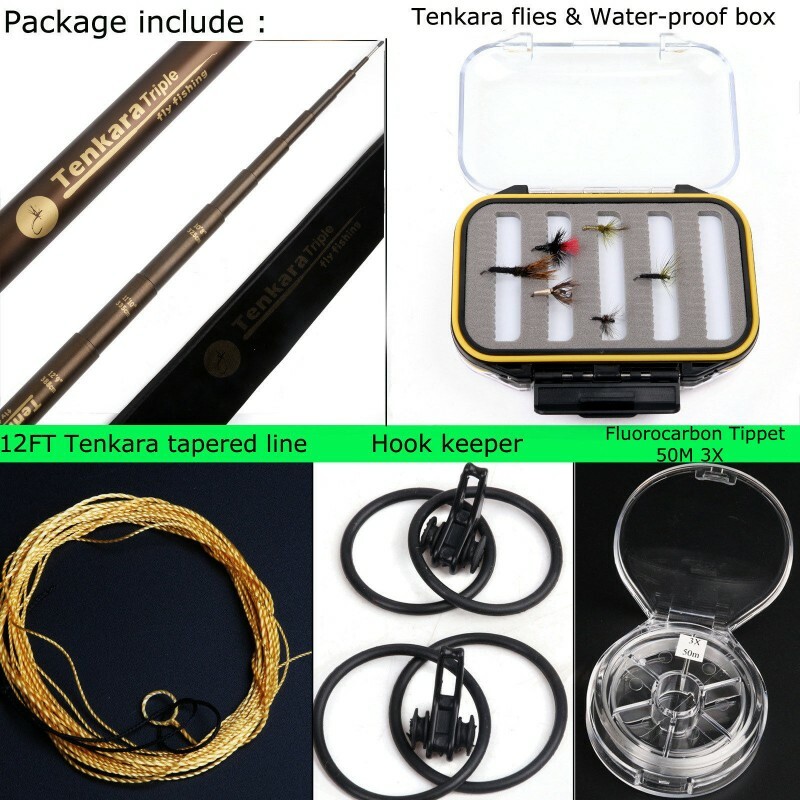 A short rod could come in handy in some cases but for the most part anglers would miss the advantage that comes from fishing with a long tenkara rod. 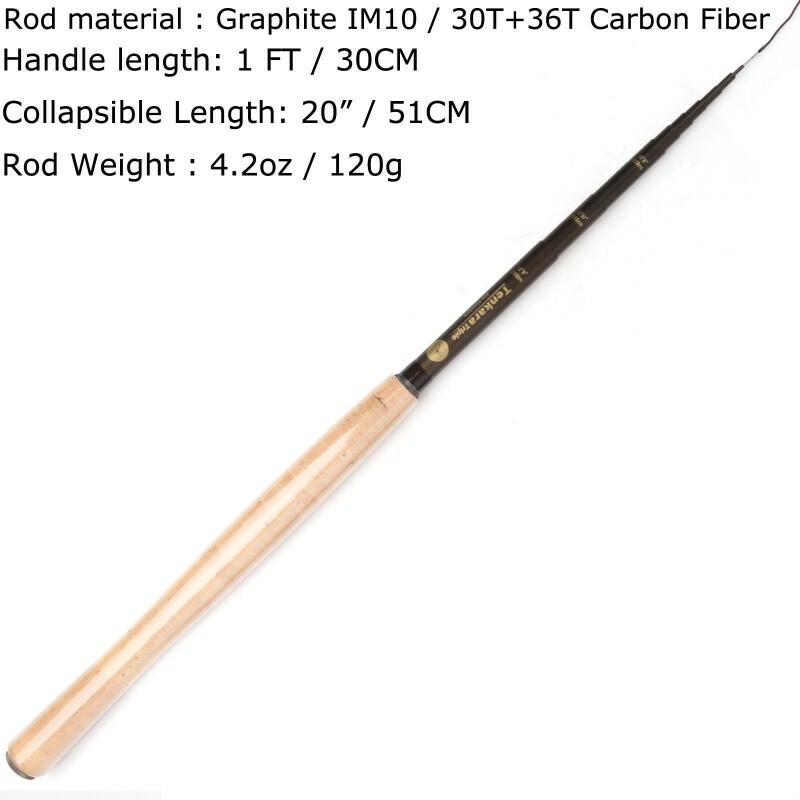 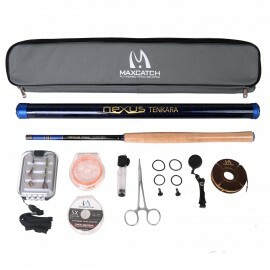 This rod could be the best of both worlds: short when you need it, long when you want it!